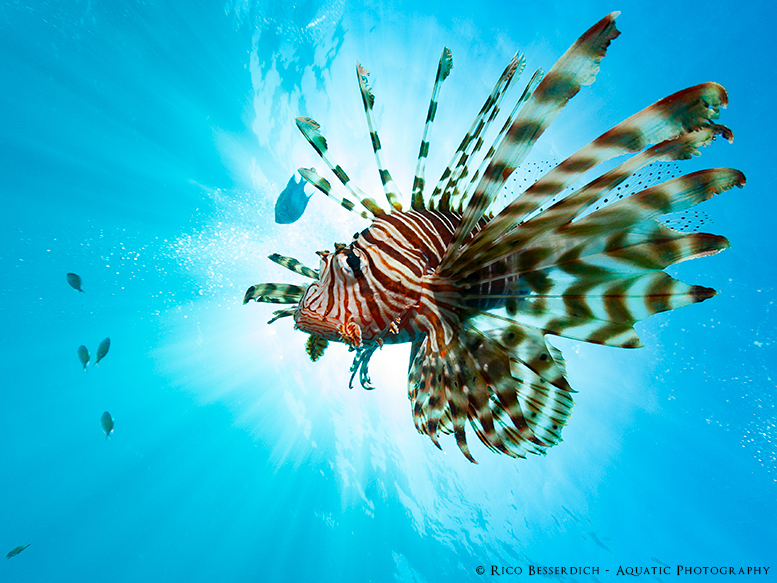 Professional underwater photographer Rico Besserdich takes us through the importance of developing the correct mindset for underwater photography, in this second part of his three-part series. In a way, our mindset is our small master plan/checklist of how we do things. The idea behind it is to be prepared. Although there are some “basics” that we see often as “general habits” of advanced photographers, each single underwater photographer will have (or create with time) his/her own individualistic mindset. We are now ready to dive and our photography gear is set as well (read part 1 of this series). We can finally go and do what we want: take photographs! But hold on… Did you switch your camera and strobe(s) on? Surely you did. Any settings? If not, let me share my personal settings with you, which I use at the beginning and end of every dive: f/8, 1/125s, ISO 200. 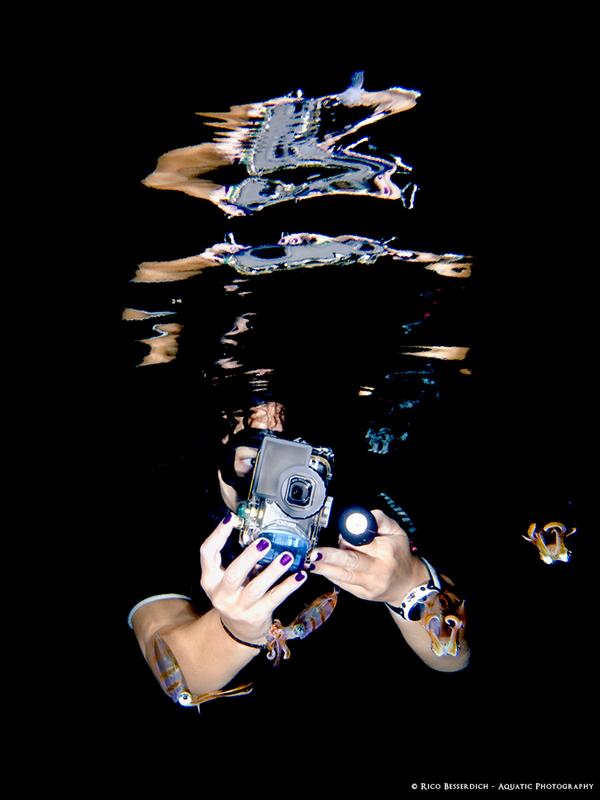 And if I am diving with a strobe, I have it set to around 40 percent power (in manual mode). Why do I do this? There are plenty of stories where underwater photographers (advanced ones among them) hop in the water, descend to just a couple of metres, and suddenly find themselves surrounded by awesome photogenic – and unexpected – objects. Sharks, turtles, and huge shoals of fish – you name it. Lots of photos with “National Geographic potential” were not made because the photographers were “fighting” with their camera settings, trying to get things ready, and while doing so having their awesome models swim away. For this simple reason, it is better to have your camera ready right from the beginning. You never know what unexpectedly and surprisingly swims in front of your lens while you are busy descending (or ascending), so be ready and prepared. Mine – f/8, 1/125s, ISO 200 – are good start settings that will have you ready for the unexpected. A mindset of a successful underwater photographer depends on one simple but important thing: What do I want? There are underwater shooters that are happy to follow a guide/group, happy to take a quick shot here and there, keen to see as many different things as possible during their dive. Others, then, prefer to spend one entire dive concentrating on underwater photography alone and even often on only one particular subject. They hate to follow groups or guides, and they are just happy hanging around in shallow waters under the boat, investing all their air, concentration, and energy on the “shots of the shots”. If you’re from the latter bunch, keep on reading. Instead of swimming around and shooting everything that can’t swim away from you fast enough, I recommend just descending a few metres and keeping your eyes open. If you haven’t started your dive with a planned idea of what to shoot, just stay where you are and have a good, long look around. If macro photography is your passion, find yourself an interesting-looking part of the reef and watch out for small critters. If wide-angle photography is your goal of the day, watch out for the sunlight (direction) and for interesting structures and shapes. Take your time to just hang around in the blue and get inspired. If you need to swim (to reach the reef), swim slowly, very slowly. Incredibly interesting subjects might appear on your way, but if you swim too fast and don’t look around, you’ll miss them. What camera/strobe settings might I need? How can I approach it? Keep a distance first, get your settings ready, and then approach your subject very slowly. Take as much time as you want to create your shot. It is not a matter of quantity; it’s a matter of quality. Good quality needs time. Try to make it a part of your mindset to eliminate disturbing factors as best as possible. Think about what is disturbing your concentration and consider what to do to get rid of it. This is a very important step of mindset development. “Equipment paranoia” – Camera or strobes are flooding. Relax; part of having this mindset is having your gear prepared well. “Stress with buoyancy” – Proper buoyancy skills should come before taking a camera underwater. “Fogging or flooding dive mask” – Only use dive masks that work well 100 percent for you. Test (and maybe replace) them before it comes to a serious photo dive! “Stress with the group/dive buddy” – Dive with a buddy who shares your passion, and avoid being stuck in a dive group. Consider a private guide if no dive buddy is available.